Kirk grew up in the home improvement industry in his grandparents' hardware store in Mount Morris, Michigan where he was taught to do it right the first time or don’t do it at all. He is HAAG Engineering Certified, which less than 1% of roofing contractors can say. This certification makes him an expert when it comes to hail and insurance restoration. After the Army he worked in new construction, building Townhomes in Rock Springs, Wyoming. After spending many years in the securities and finance industry he returned to the construction industry in 2008. 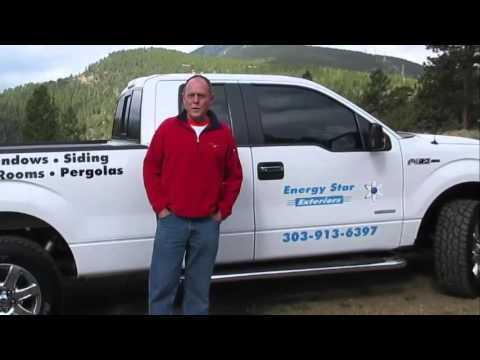 Kirk worked for large home improvement companies in Denver prior to starting Energy Star Exteriors in 2014. Kirk and Energy Star Exteriors are dedicated to excellence in workmanship, detail to quality while providing outstanding customer service. In his spare time, he is an avid snow skier and teaches adaptive skiing to children and adults with disabilities. He works with Shining Stars Foundation with children with cancer and also teaches at Ignite Adaptive Sports in Eldora Mountain Resort. He also enjoys hunting, fishing, camping, tennis, and the mountains of Colorado. Since 1955, Gaco Western has manufactured exceptional waterproofing and insulating products. Gaco Wesern is also a recognized leader in innovative silicone roofing systems. This family-owned company was built on three fundamental principles: superior products, sold by experts at competitive prices. No need to re-roof, just re-cover! No matter if your roof is slanted or flat, large or small, Gaco has got you covered. GacoFlex Silicone System is a water resistant and insulation material used to help protect your roof even through ponding water. It also comes in Solvent Free, using a monolithic system to create a seamless surface. Renews your roof, makes any old roof look new. Extends the life of the roof. Creates more time between roof replacements. Efficient friendly, reducing energy costs and increases the R Value. Works on all types of roof shapes and sizes. Can be used as a re-coat. Less roof material waste in landfills, due to the extended life of the roof. Provides UV protection with a highly reflective surface. Varied thickness allows you to create slopes for optimal drainage where needed. 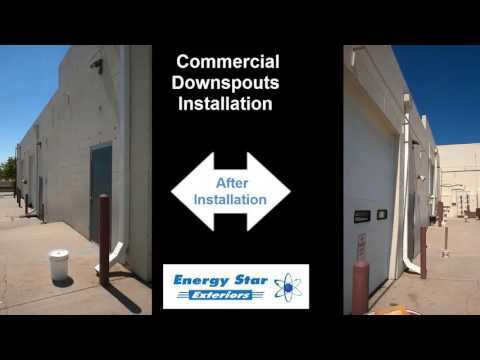 Energy Star Exteriors Installed new downspouts on a commercial building in Arvada CO. This will help prevent flooding in this high traffic parking lot and keep all employees and visitors safe. We replaced a shake roof on this Arvada home with IR GAF Timberline HD shingles. The roof has the great look of shake shingles but will last much longer with the products that we installed.